Over the last 15 years a number of new members have taken up the craft after attending our very popular courses. 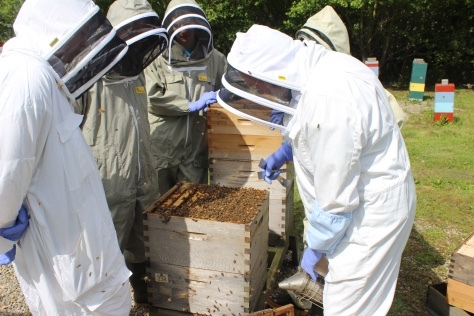 The 'Introduction to Beekeeping' course is now full! A weekend, two-day course offering a basic insight into Honey bees and beekeeping, their lifecycle and their place in the environment. in the mornings and then in the Association's apiary in Morden Hall Park in the afternoons. We will provide you with course notes and a textbook but bring a notepad to take down your own notes.